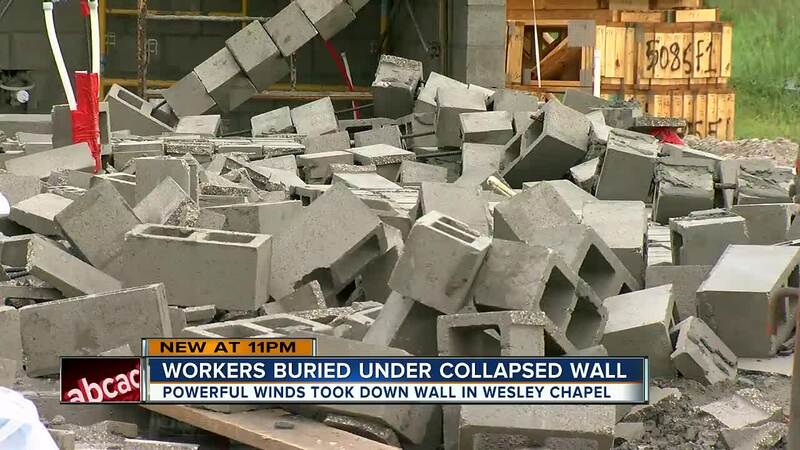 WESLEY CHAPEL, Fla. —Thunderstorms rocked the Wesley Chapel area around 4:50 Friday afternoon sending a cinder block wall crashing down onto two construction workers. 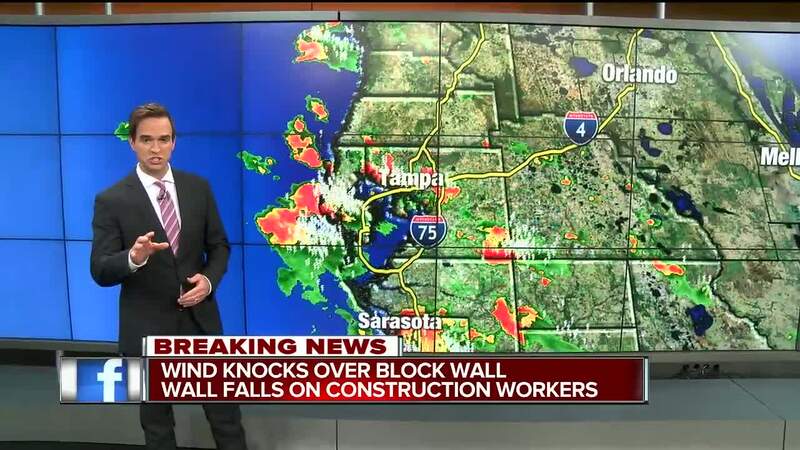 Witnesses telling ABC Action News reporter Michael Paluska the wall was nearly 15 feet high and the workers were up against it with a tarp over them taking cover from the storm. Taylor lives across the street from where the accident happened on the 29000 block of Picana Lane. The home under construction is in the Estancia subdivision. She watched rescue workers brave high winds, lightning, and rain to pull the men buried under the rubble out. “They pulled two guys out and put them on the stretcher,” Taylor said. Pasco County Fire Rescue said that two men are now recovering at an area hospital in fair condition.